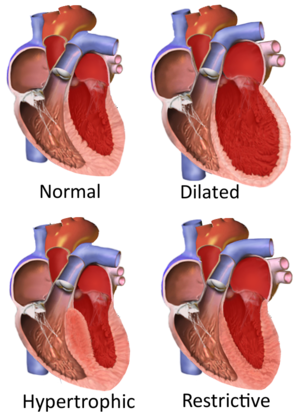 ^ 1.0 1.1 1.2 1.3 1.4 What Are the Signs and Symptoms of Cardiomyopathy?. NHLBI. 22 June 2016 [31 August 2016]. （原始内容存档于15 September 2016）. 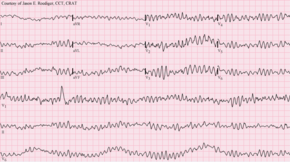 ^ 2.0 2.1 2.2 Who Is at Risk for Cardiomyopathy?. NHLBI. 22 June 2016 [31 August 2016]. （原始内容存档于16 August 2016）. ^ 3.0 3.1 3.2 3.3 3.4 3.5 3.6 3.7 Types of Cardiomyopathy. NHLBI. 22 June 2016 [31 August 2016]. （原始内容存档于28 July 2016）. ^ 4.0 4.1 4.2 4.3 4.4 What Causes Cardiomyopathy?. NHLBI. 22 June 2016 [31 August 2016]. （原始内容存档于15 September 2016）. 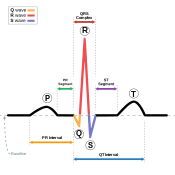 ^ 5.0 5.1 5.2 How Is Cardiomyopathy Treated?. NHLBI. 22 June 2016 [31 August 2016]. （原始内容存档于15 September 2016）. ^ 6.0 6.1 GBD 2015 Disease and Injury Incidence and Prevalence, Collaborators. Global, regional, and national incidence, prevalence, and years lived with disability for 310 diseases and injuries, 1990-2015: a systematic analysis for the Global Burden of Disease Study 2015.. Lancet. 8 October 2016, 388 (10053): 1545–1602. PMC 5055577. PMID 27733282. doi:10.1016/S0140-6736(16)31678-6. ^ 7.0 7.1 GBD 2015 Mortality and Causes of Death, Collaborators. Global, regional, and national life expectancy, all-cause mortality, and cause-specific mortality for 249 causes of death, 1980-2015: a systematic analysis for the Global Burden of Disease Study 2015.. Lancet. 8 October 2016, 388 (10053): 1459–1544. PMC 5388903. PMID 27733281. doi:10.1016/s0140-6736(16)31012-1. ^ What Is Sudden Cardiac Arrest?. NHLBI. 22 June 2016 [16 August 2016]. （原始内容存档于28 July 2016）. ^ Practical Cardiovascular Pathology. Lippincott Williams & Wilkins. 2010: 148. ISBN 9781605478418. （原始内容存档于14 September 2016）. ^ Lakdawala, NK; Stevenson, LW; Loscalzo, J. Chapter 287. (编) Kasper, DL; Fauci, AS; Hauser, SL; Longo, DL; Jameson, JL; Loscalzo, J. Harrison's Principles of Internal Medicine 19th. McGraw-Hill. 2015: 1553. ISBN 978-0-07-180215-4. ^ Pathophysiology of heart disease : a collaborative project of medical students and faculty. Lilly, Leonard S., Harvard Medical School. 5th. Baltimore, MD: Wolters Kluwer/Lippincott Williams & Wilkins. 2011. ISBN 1605477230. OCLC 649701807. ^ Adam A, Nicholson C, Owens L. Alcoholic dilated cardiomyopathy.. Nurs Stand (Review). 2008, 22 (38): 42–7. PMID 18578120. ^ 15.0 15.1 Westphal JG, Rigopoulos AG, Bakogiannis C, Ludwig SE, Mavrogeni S, Bigalke B, 等. The MOGE(S) classification for cardiomyopathies: current status and future outlook.. Heart Fail Rev (Review). 2017, 22 (6): 743–752. PMID 28721466. doi:10.1007/s10741-017-9641-4. ^ Domont F, Cacoub P. Chronic hepatitis C virus infection, a new cardiovascular risk factor?. Liver Int (Review). 2016, 36 (5): 621–7. PMID 26763484. doi:10.1111/liv.13064. ^ Ciaccio EJ, Lewis SK, Biviano AB, Iyer V, Garan H, Green PH. Cardiovascular involvement in celiac disease.. World J Cardiol (Review). 2017, 9 (8): 652–666. PMC 5583538. PMID 28932354. doi:10.4330/wjc.v9.i8.652. ^ Simpson S, Rutland P, Rutland CS. Genomic Insights into Cardiomyopathies: A Comparative Cross-Species Review.. Vet Sci (Review). 2017, 4 (1). PMC 5606618. PMID 29056678. doi:10.3390/vetsci4010019. ^ Valentin Fuster; John Willis Hurst. Hurst's the heart. McGraw-Hill Professional. 2004: 1884– [11 November 2010]. ISBN 978-0-07-143225-2. （原始内容存档于27 May 2013）. ^ McCartan C, Maso R, Jayasinghe SR, Griffiths LR. Cardiomyopathy Classification: Ongoing Debate in the Genomics Era. Biochem Res Int. 2012, 2012: 796926. PMC 3423823. PMID 22924131. doi:10.1155/2012/796926. ^ Vinay, Kumar. Robbins Basic Pathology. Elsevier. 2013: 396. ISBN 978-1-4377-1781-5. ^ 24.0 24.1 Séguéla PE, Iriart X, Acar P, Montaudon M, Roudaut R, Thambo JB. Eosinophilic cardiac disease: Molecular, clinical and imaging aspects. Archives of Cardiovascular Diseases. 2015, 108 (4): 258–68. PMID 25858537. doi:10.1016/j.acvd.2015.01.006. ^ Rose NR. 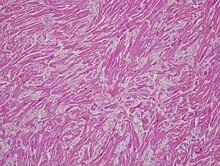 Viral myocarditis. Current Opinion in Rheumatology. 2016, 28 (4): 383–9. PMC 4948180. PMID 27166925. doi:10.1097/BOR.0000000000000303. Boudina, Sihem; Abel, Evan Dale. Diabetic cardiomyopathy, causes and effects. Reviews in endocrine & metabolic disorders. 1 March 2010, 11 (1): 31–39. ISSN 1389-9155. PMC 2914514. PMID 20180026. doi:10.1007/s11154-010-9131-7. Marian, A. J.; Roberts, Robert. The Molecular Genetic Basis for Hypertrophic Cardiomyopathy. Journal of molecular and cellular cardiology. 1 April 2001, 33 (4): 655–670. ISSN 0022-2828. PMC 2901497. PMID 11273720. doi:10.1006/jmcc.2001.1340. Acton, Q. Ashton. Advances in Heart Research and Application: 2013 Edition. Scholarly Editions. 2013. ISBN 978-1-481-68280-0.